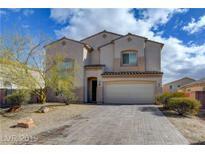 Below you can view all the homes for sale in the Laguna Park subdivision located in North Las Vegas Nevada. 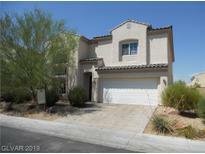 Listings in Laguna Park are updated daily from data we receive from the Las Vegas multiple listing service. To learn more about any of these homes or to receive custom notifications when a new property is listed for sale in Laguna Park, give us a call at 702-323-5963. Loft Area Upstairs, Master Bedroom Includes Walk-In Closet, Separate Laundry Room with Washer, Dryer and Sink. 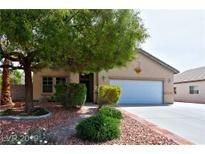 MLS#2087689. RPM Jackpot. Beautiful 1 Story Home At The End Of A Cul-de-sac With Inground Pool And Spa, Rv Parking, And 2 Car Attached Garage*kitchen Includes Granite Countertops, Island / Breakfast Bar, And All Appliances*separate Living And Family Room*vaulted Ceilings In The Living Room*large Master Bedroom W/ Walk-in Closet*dual Sinks And Separate Tub / Shower In The Master Bath*tile Flooring And Ceiling Fans Throughout*stunning Backyard With Covered Patio MLS#2085571. Realty ONE Group, Inc.
Tile floors. Attractive landscape front and rear MLS#2083355. Realty ONE Group, Inc. Finished garage with entry to home and back yard. MLS#2067210. Barrett & Co, Inc. Kitchen with pantry and breakfast bar. Short Sale. MLS#1972210. Century 21 Americana.